This issue may have been caused by using the code previously on a different game account, or having multiple Google accounts being present on your device. Please follow the steps below to obtain the items on your current DFFOO account. * Please note that if the code was used on a previous game account, you cannot receive the NT bonus items on a different account. 1. Launch Google Play Store from your device. 2. Tap the menu button (三) on the top left of the screen. 3. Select your account from the top of the screen by tapping on the account icon. 6. "DISSIDIA FINAL FANTASY..." $0.00 would be the redeemed code. 1. 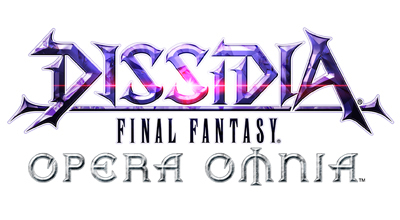 Launch DISSIDIA FINAL FANTASY OPERA OMNIA from your device. 2. Enter the Home screen by tapping on the Title Screen. 3. Tap on the Options button (gear icon) on the left. 4. Scroll down to the "Facebook Login" button. If it already shows "Facebook Logout", you can skip to Step 7. 5. Log in to your Facebook account. 6. If the button shows "Facebook Logout", you have now linked your account successfully. 7. Uninstall DISSIDIA FINAL FANTASY OPERA OMNIA from your phone. 4. Tap "My apps & games". 6. Tap the X on the right of the App to remove from Library. 1. Launch a web browser on your computer. 3. Log in to the Google account which you redeemed the promotion code with. 4. After logging in, please press the Install button. 5. Choose the device to install DISSIDIA FINAL FANTASY OPERA OMNIA on. 6. Check your device. The App should be installed. 7. Launch DISSIDIA FINAL FANTASY OPERA OMNIA, choose to "Transfer Data" with your Facebook account. 8. The promotion code items should now be sent to your Gifts page.